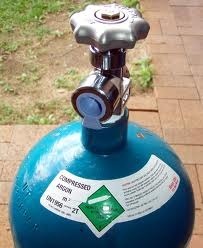 Our range of products include argon shield. We manufacture supreme quality Argon Shield which is used widely for the production, processing and fabrication of metals. The role of the argon shield is to exclude atmospheric air from contact with metal alloys. It is various processes of welding. Argon is used as a shield because it is a predominant shielding gas which works much better than other shielding gas due to the high density and total inertness. It is used in a wide range of ferrous and non-ferrous materials for welding and cutting. It is used in high pressure and liquid cylinders. It carries bulk deliveries and is highly non-corrosive. Available in 47 WC cylinders at 150 Bar. Provide mixture as per specifiaction required by customers.